Will the forestry sector be pretty in Copenhagen? Copenhagen will be at the center of attention these coming weeks. The Conference of Parties (CoP) 15 on climate change is an undeniably major event that will decide the next steps in mitigating global warming. Most climate change analysts agree this is a crucial meeting to discuss post-Kyoto Protocol actions. However, there are still some doubts shadowing the possible outcomes of this meeting. The commitment of developed countries to reduce their carbon emissions is still questionable. The positions of the developing world’s two leading emitters, i.e. China and India, are also dubious. Given the fact that their emissions per capita are much lower than developed nations, they have a strong argument against setting themselves binding targets. On the other hand, the US and UK are dealing with negative trends in public support on climate change. Last week, several media outlets posted news about the possibility that climate scientists have been manipulating global warming data. The headlines, titled “climategate”, exposed emails of East Anglia University’s Climatic Research Unit, which, if true, reveals fabricated data about global warming by respected scientists. This news circle becomes an ammunition for global warming skeptics to reject legislation regarding emissions regulations. Australia is facing a similar kind of problem. Last month, the carbon trading bill was rejected by the Senate. As a result, Malcolm Turnbull was sacked as leader of opposition Liberal Party, largely due to his bi-partisan stance backing Australian Prime Minister Kevin Rudd’s planned emission trading scheme. Turnull has since been replaced by Tony Abbot, a staunch conservative who is seen as an opponent to emissions reduction. It is understandable when Lars Rasmussen, Danish Prime Minister, said the meeting might only result in a broad agreement without any detail of binding emissions targets, financing or technology transfers. However, we should be optimistic that this conference will bring about several good outcomes. In terms of the forestry sector, we expect that the Copenhagen Summit will seriously talk in greater detail about the inclusion of forest conservation as a fundamental part of global warming mitigation. Therefore, this meeting will be a milestone event for efforts to save rainforest ecosystems. The eighth session of UN Forum on Forests, which took place from April 20–May 1, 2009, also discussed this urgent topic. The forum talked about two main issues: forests in a changing environment and means of implementation for sustainable forest management. One of the sub-themes was forests and climate change and preventing forest degradation. Since the Reducing Emissions from Deforestation and forest Degradation (REDD) in developing countries scheme was discussed in CoP 11 in Montreal in 2005, the issue has been seen as an effective way to help developing countries to save their forests. On the other hand, it gives industrialized nations more breathing space in reducing their carbon emissions by off-setting carbon output by funding forest conservation projects. Even though there are still some doubts regarding REDD, it should be viewed as one of the keystones of post-Kyoto Protocol. The recent development of REDD becoming REDD-plus, which includes sustainable forest management and conservation and improving forest carbon stock is good progress. The question is no longer “whether” but “how” REDD could be well-implemented. 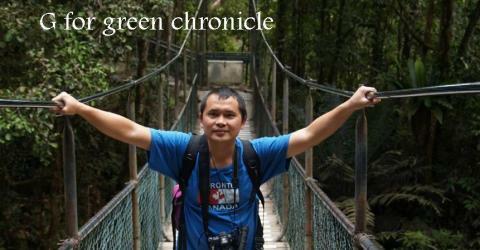 The upcoming summit hopes to come up with more detailed talks and recommendations about REDD. However, there are still some questions regarding the scheme. One of the big questions is whether it really can save forest ecosystems in developing countries. Deforestation in many developing nations relate to many aspects, mainly economic and social problems. In many countries, such as Indonesia, this problem happens on a huge scale. Hence, ensuring this scheme benefits people directly related to deforestation should be the main focus if REDD is implemented. Indigenous people who rely on forests for a living should also be prioritized. Integrating REDD with community-based forest management would be an effective option to consider. The mechanism also has to ensure that the scheme not only saves spots of forests included in the REDD project. This scheme should cover large areas of threatened forest ecosystems. However, it is in fact unrealistic to rely only on REDD schemes to preserve our forests. The Indonesian government and people must to do more than only utilizing funds that might come up from REDD. The fund should be used as a stimulant to push society in the right direction. The government must seriously invest on saving our rainforests. It will then give us the chance to put a stop to the wholesale destruction of the environment that we are currently witnessing. The reduction of forests’ role to just mechanisms of carbon capture also risks the maintenance of biodiversity in tropical rainforests. If forests are viewed solely as carbon sinks, rehabilitation projects may neglect the importance of biodiversity. This then relates to another question: what financing options are available? Grainger et al. (2009) in their essay in Current Biology (Volume 19) said the stakeholders are currently split on whether to finance REDD projects through carbon markets or to use either public funding or voluntary private funding to provide payments to governments. Both of these options have consequences. The process to select the best option has to be based mainly on which alternative is the most appropriate way so the scheme can significantly contribute to tropical rainforest conservation. The combination of fairness and accountability on forest-related mechanisms will affect the willingness to pay on behalf of the industrialized countries. However, it must be ensured that this scheme does not become a cheap exit strategy for large emitter countries. Therefore, as suggested by the Brazilian president, a cap should be placed on the amount of carbon that those large emitters could buy, in order to encourage emissions reduction policies. Indonesia at this summit could show results from several REDD pilot projects being tried in the country. The Ulu Masen forest conservation project and Indo-nesia-Australia carbon partnership should serve as examples of our readiness to apply the REDD scheme. In short, whether forestry is a pretty issue in Copenhagen will depend on how us developing countries show our strong initiatives to save our remaining forest ecosystems.